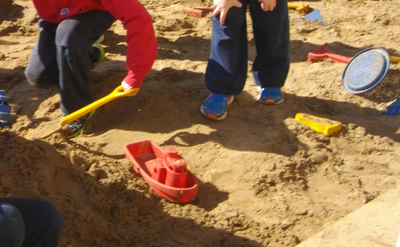 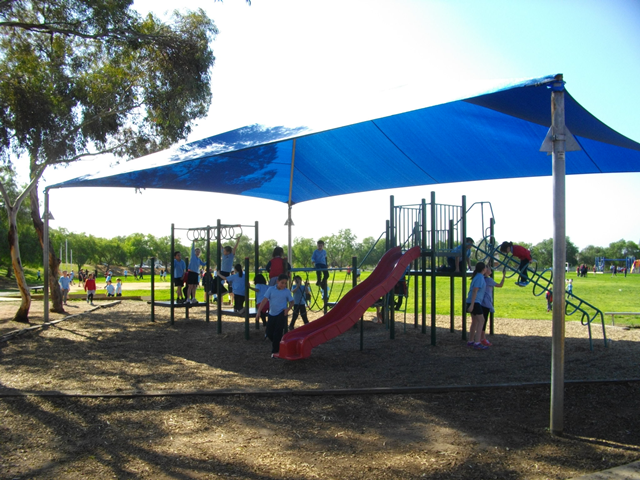 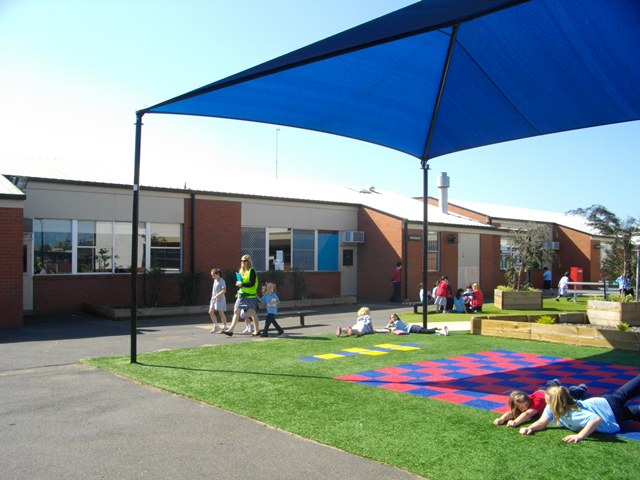 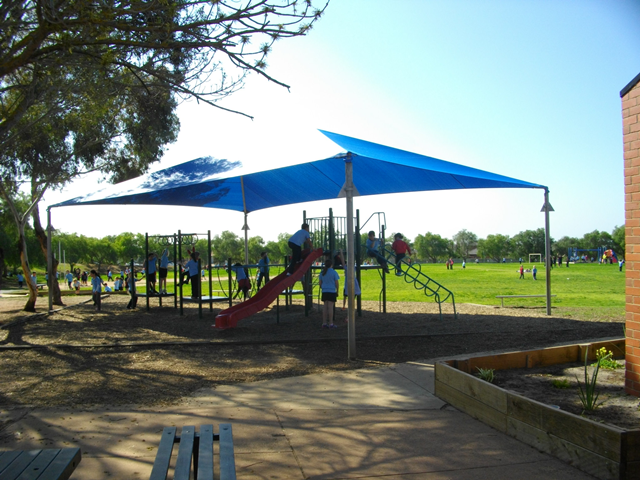 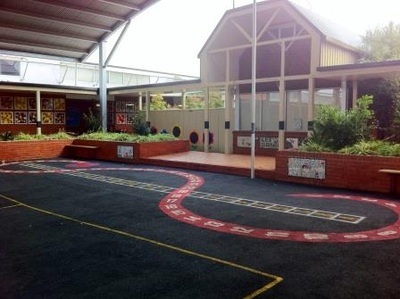 - Students may play anywhere they wish as long as they engage in safe and responsible behaviour. 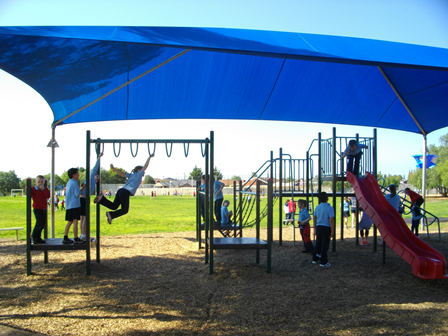 - Playgrounds are for climbing, swinging, sliding, balancing, etc – not chasing games. 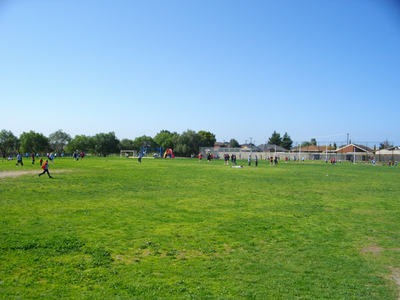 - Games that involve running and chasing should be played on the oval – not around buildings. 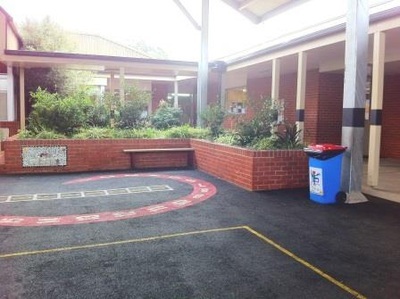 - The front of the school is out of bounds at all times. 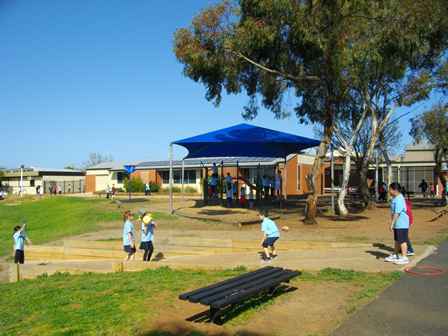 - The seating around the Grade 5/6 building is for passive activities – not eating, or standing on. 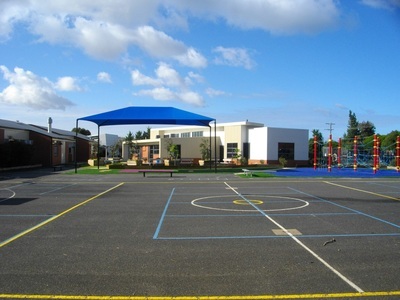 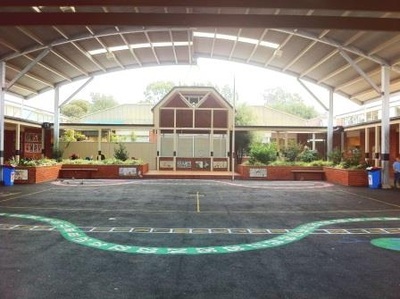 - The courtyard is a passive area for sitting or playing less active games – not running or ball games. 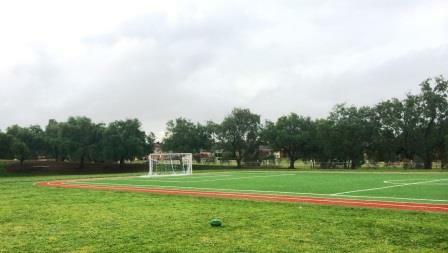 - The new soccer field will be used according to a roster until further notice. 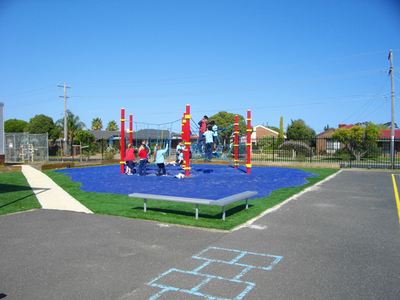 - NO pre-school children or toddlers are to play on the playground equipment at any time as it has not been designed for pre-school age children. Parents or carers who choose to allow their pre-schoolers and toddlers to play on the school playgrounds, do so at their own risk and it is the responsibility of the parent/carer to provide supervision. - Students who walk or ride bikes/scooters home from school are NOT to play on the playground after school as all students are to make their way home or to their designated meeting place where they are picked up by a parent as soon as the bell goes at 2:40pm. 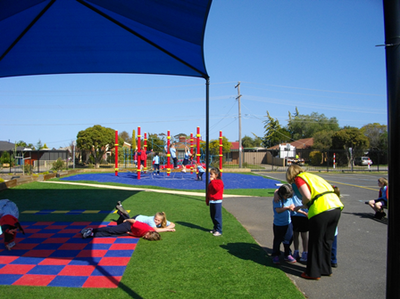 - Parents or carers are responsible for the supervision of their children if they choose to allow them to play on the playground after 2:40pm.